The Spin Stops Never | Less. More. Abundantly. 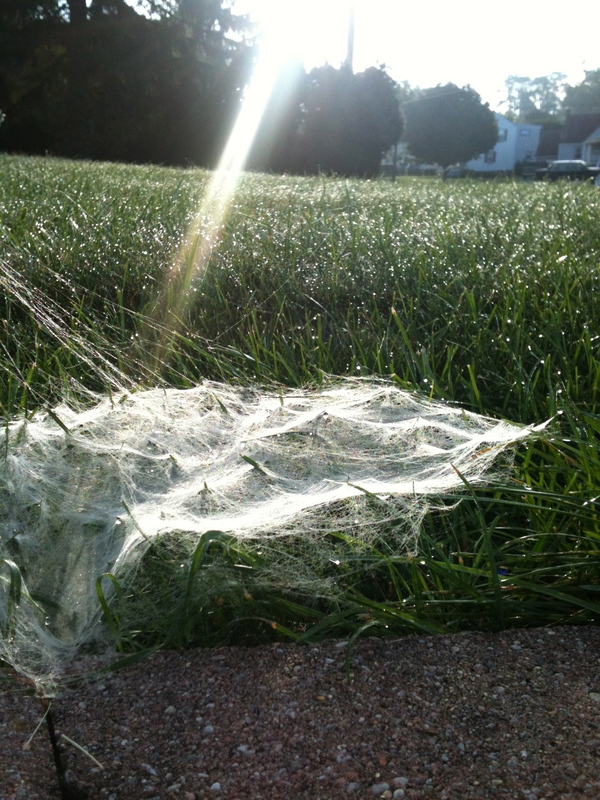 In grass bejeweled by the morning dew, lay a gossamer miracle. 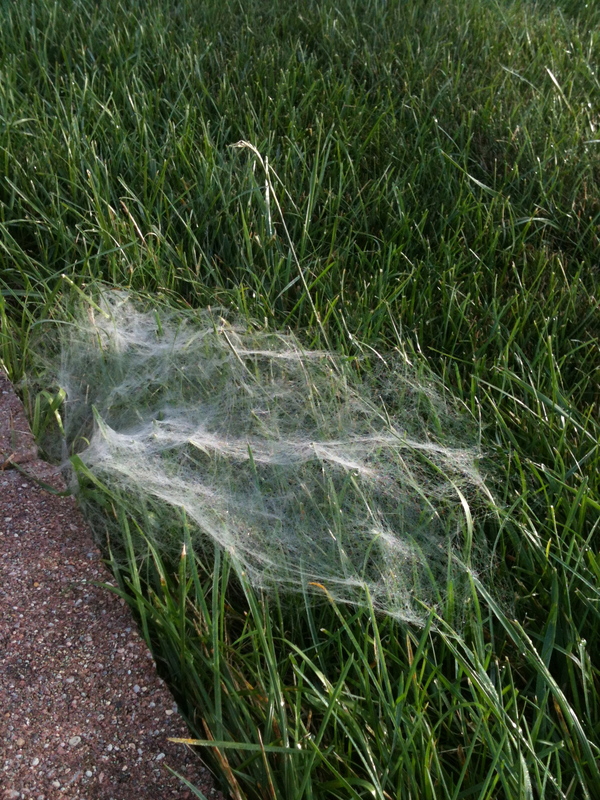 A spider spent the night spinning a web held aloft by grass columns. The craftspider was nowhere to be found, no doubt passed out from exhaustion beneath the mammoth structure. It was beautiful and by the afternoon, it was gone. A few mornings later, this is what we saw as we waited for the bus. As I take this journey to eat less, pray more and love abundantly, there have been many questions which have been presented to me. The spider web brought up some more. The spider created something beautiful in the middle of harsh stones. It relied upon fragile blades of grass to keep it elevated. What am I creating in the middle of the sharp stones of my own life? The fragility of faith, friendship and finances-are they keeping me from creating anything? The spider did what she does best-spin webs. What do I do best? It’s been raining and cold for many days here, so we haven’t seen if the intrepid spider remains. I wouldn’t be surprised when the sun shines again, to find the spin stopped never. I also will not be surprised to spin a few webs of my own. So, what are you creating? Is it time for you to emerge from the crags of your life and spin? What do you do best? Perhaps we can spin a tale or two together. Beautifully crafted, my spinner of words!